Allman Brothers can be booked through this site. Allman Brothers entertainment booking site. Allman Brothers is available for public concerts and events. 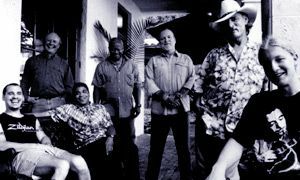 Allman Brothers can be booked for private events and Allman Brothers can be booked for corporate events and meetings through this Allman Brothers booking page. Unlike most middle agents that would mark up the performance or appearance fee for Allman Brothers, we act as YOUR agent in securing Allman Brothers at the best possible price. We go over the rider for Allman Brothers and work directly with Allman Brothers or the responsible agent for Allman Brothers to secure the talent for your event. We become YOUR agent, representing YOU, the buyer. In fact, in most cases we can negotiate for the acquisition of Allman Brothers for international dates and newer promoters providing you meet professional requirements. The story of the Allman Brothers Band is one of triumph, tragedy, redemption, dissolution, and a new redemption. Over nearly 30 years, they've gone from being America's single most influential band to a has-been group trading on past glories, to reach the 21st century as one of the most respected rock acts of their era. For the first half of the 1970s, the Allman Brothers Band was the most influential rock group in America, redefining rock music and its boundaries. The band's mix of blues, country, jazz, and even classical influences, and their powerful, extended on-stage jamming altered the standards of concert performance -- other groups were known for their on-stage jamming, but when the Allman Brothers stretched a song out for 30 or 40 minutes, at their best they were exciting, never self-indulgent. They gave it all a distinctly Southern voice and, in the process, opened the way for a wave of '70s rock acts from south of the Mason-Dixon Line, including the Marshall Tucker Band, Lynyrd Skynyrd, and Blackfoot, whose music, at least initially, celebrated their roots. And for a time, almost single-handedly, they also made Capricorn Records into a major independent label. The group was founded in 1969 by Duane Allman (b. Nov. 20, 1946-d. Oct. 29, 1971) on guitar; Gregg Allman (b. Dec. 8, 1947) on vocals and organ; Forrest Richard ( Dickey ) Betts (b. Dec. 12, 1943) on guitar; Berry Oakley (b. Apr. 4, 1948-d. Nov. 12, 1972) on bass; and Claude Hudson ( Butch ) Trucks (b. May 11, 1947) and Jaimoe (Johnny Lee Johnson) Johanson (b. July 8, 1944) on drums. Duane and Gregg Allman loved soul and R&B, although they listened to their share of rock & roll, especially as it sounded coming out of England in the mid-'60s. Their first group was a local Daytona Beach garage band called the Escorts, who sounded a lot like the early Beatles and Rolling Stones; they later became the Allman Joys and plunged into Cream-style British blues, and then the Hour Glass, a more soul-oriented outfit. The group landed a contract with Liberty Records with help from the Nitty Gritty Dirt Band, but the company wasted the opportunity on a pair of over-produced albums that failed to capture the Hour Glass' sound. The group split up after Liberty rejected a proposed third LP steeped in blues and R&B. Duane Allman began working as a session guitarist at Fame Studios in Muscle Shoals, AL, and it was there, appearing on records by Wilson Pickett, Aretha Franklin, John Hammond, and King Curtis, among others, that he made his reputation. In 1969, at the coaxing of ex-Otis Redding manager Phil Walden, Allman gave up session work and began putting together a new band -- Jaimoe came aboard, and then Allman's longtime friend Butch Trucks and another Allman friend, Berry Oakley, joined, along with Dickey Betts, with whom Oakley was playing in a group called Second Coming. A marathon jam session ensued, at the end of which Allman had his band, except for a singer -- that came later, when his brother Gregg agreed to join. They were duly signed to Walden's new Capricorn label. The band didn't record their first album until after they'd worked their sound out on the road, playing heavily around Florida and Georgia. The self-titled debut album was a solid blues-rock album and one of the better showcases for guitar pyrotechnics in a year with more than its share, amid albums by Cream, Blind Faith, the Jeff Beck Group, and Led Zeppelin. It didn't sell 50,000 copies on its initial release, but The Allman Brothers Band impressed everyone who heard it and nearly everyone who reviewed it. Coming out at the end of the 1960s, it could have passed for a follow-up to the kind of blues-rock coming out of England from acts like Cream, except that it had a sharper edge -- the Allmans were American and Southern, and their understanding of blues (not to mention elements of jazz, mostly courtesy of Jaimoe) was as natural as breathing. The album also introduced one of the band's most popular concert numbers, Whipping Post. Their debut album attracted good reviews and a cult following with its mix of assured dual lead guitars by Duane Allman and Dickey Betts, soulful singing by Gregg Allman, and a rhythm section that was nearly as busy as the lead instruments, between Oakley's rock-hard bass and the dual drumming of Trucks and Johanson. Their second album, 1970's Idlewild South, recorded at Capricorn's studios in Macon, GA, was produced by Tom Dowd, who had previously recorded Cream. This was a magical combination -- Dowd was completely attuned to the group's sound and goals, and Idlewild South broadened that sound, adding a softer acoustic texture to their music and introducing Betts as a composer (including the original studio version of In Memory of Elizabeth Reed, an instrumental tribute to Miles Davis that would become a highlight of their shows, in many different forms, for the next 30 years). It also had a Gregg Allman number, Midnight Rider, which became one of the band's more widely covered originals and the composer's signature tune. By this time, the band's concerts were becoming legendary for the extraordinarily complex yet coherent interplay between the two guitarists and Gregg Allman's keyboards, sometimes in jams of 40 minutes or more to a single song without wasting a note. And unlike the art rock bands of the era, they weren't interested in impressing anyone with how they played scales, how many different tunings they knew, or which classical riffs they could quote. Rather, the Allmans incorporated the techniques and structures of jazz and classical into their playing. In March of 1971, the band played a series of shows at the Fillmore East that were recorded for posterity and subsequently transformed into their third album, At Fillmore East. This double LP, issued in July of 1971, became an instant classic, rivaling the previous blues-rock touchstone cut at the Fillmore, Cream's Wheels of Fire. Duane Allman and his band were suddenly the new heroes to millions of mostly older teenage fans. Although it never cracked the Top Ten, At Fillmore East was certified as a gold record on October 15, 1971. Duane Allman was killed in a motorcycle accident 14 days later. The band had been midway through work on its next album, Eat a Peach, which they completed as a five-piece, with Dickey Betts playing all of the lead and slide guitar parts. Their second double album in a row became another instant classic, and their first album to reach the Top Ten, peaking at number five. Despite having completed Eat a Peach, the group was intact in name only. Rather than try to replace Duane Allman as a guitarist, they contrived to add a second solo instrument in the form of a piano, played by Chuck Leavell. The group had already begun work on a long-delayed follow-up to Eat a Peach, when Oakley was killed in a motorcycle accident only a few blocks from Allman's accident site. Lamar Williams (b. Jan. 15, 1949-d. Jan. 25, 1983) was recruited on bass, and the new lineup continued the group's concert activities, as well as eventually finishing the band's next album, Brothers and Sisters. which was released on August 1, 1973. During the extended gap in releases following Eat a Peach, Atco reissued The Allman Brothers Band and Idlewild South together as the double LP Beginnings, which charted higher than either individual release. Brothers and Sisters marked the beginning of a new era. The album had a more easygoing and freewheeling sound, less bluesy and more country-ish. This was partly a result of Capricorn losing the services of Tom Dowd, who had produced their three previous albums. Additionally, Dickey Betts' full emergence as a songwriter and singer as well as the group's only guitarist, playing all of the lead and slide parts, altered the balance of the group's sound, pushing forth his distinct interest in country-rock. Betts also became the reluctant de facto leader of the band during this period, not from a desire for control as much as because he was the only one with the comparative stability and creative input to take on the responsibility. The record occupied the number one spot for six weeks, spurred by the number two single Ramblin' Man, and became their most well-known album. It was an odd reversal of the usual order of success for a rock band -- usually, it was the release of an album that drew the crowds to concerts, but in this case, the months of touring the band had done paved the way for the album. The fact that it kept getting pushed back only heightened the fans' interest. Ironically, Brothers and Sisters was a less challenging record than the group's earlier releases, with a relatively laid-back sound, relaxed compared to the groundbreaking work on the group's previous four albums. But all of this hardly mattered; based on the reputation they'd established with their first four albums, and the crowd-pleasing nature of Ramblin' Man and the Dickey Betts-composed instrumental Jessica, the group was playing larger halls and bigger crowds than ever. An entire range of Southern rock acts had started to make serious inroads into the charts in the wake of the Allman Brothers. Labels such as MCA and even Island Records began looking for this same audience, signing acts like Lynyrd Skynyrd and Blackfoot, respectively, among others. For the first time since the mid-'50s, the heyday of the rockabilly era, a major part of the country was listening to rock & roll with a distinctly Southern twang. The band began showing cracks in 1974, as Gregg Allman and Dickey Betts both began solo careers, recording albums separately from the group. Allman married Cher (twice), an event that set him up in a Hollywood-based lifestyle that created a schism with the rest of the band. They might have survived all of this, but for the increasing strain of the members' other personal habits -- drugs and alcohol had always been a significant part of the lives of each of the members, except perhaps for Jaimoe, but as the strain and exhaustion of touring continued, coupled with the need to produce new music, these indulgences began to get out of control, and Betts' leadership of the group created a further strain for him. The band's difficulties were showcased by their next album, the highly uneven Win, Lose or Draw, which lacked the intensity and sharpness of their prior work. The whole band wasn't present for some of the album, and Gregg Allman's involvement with Cher, coupled with his serious drug problems, prevented him from participating with the rest of the group -- his vocals were added separately, on the other side of the country. The band finally came apart in 1976 when Allman found himself in the midst of a federal drug case against a supplier and agreed to testify against a friend and band employee. Leavell, Johanson, and Williams split to form Sea Level, which became a moderately successful band, cutting four albums for Capricorn over the next four years, while Betts pursued a solo career. All of them vowed never to work with Gregg Allman again. Amid this split, Capricorn Records, reaching ever deeper into its vaults for anything that could generate income, issued two collections, a double-LP live collection called Wipe the Windows, Check the Oil, Dollar Gas, showcasing the Brothers and Sisters-era band at various concerts, and a double-LP best-of package, And the Road Goes On Forever. Wipe the Windows was a modest seller, appearing as it did when the group's sales had already fallen off, and it was compared unfavorably with the legendary work on At Fillmore East. The studio compilation passed with barely a ripple, however, because most fans already had the stuff on the original albums. They were all back together by 1978, however, and over the next four years the group issued a somewhat uneven series of albums. Enlightened Rogues (1979) somewhat redeemed their reputations -- produced by Tom Dowd, who had always managed to get the very best work out of the group, it had more energy than any record they'd issued in at least six years. It also restored the two-guitar lineup, courtesy of Dan Toler (from Dickey Betts' solo band), who was brought in when Chuck Leavell (along with Lamar Williams) refused to return to the Allmans. By that time, however, the Allmans were fighting against time and musical trends. Disco, punk, and power pop had pretty much stolen a march on the arena acts epitomized by the Allmans; whatever interest they attracted was a matter of nostalgia for their earlier releases. The group was in danger of becoming arena rock's third big oldies act (after the Moody Blues and Paul McCartney's Wings). Additionally, their business affairs were in a shambles, owing to the bankruptcy of Capricorn Records in late 1979. When the fallout from the Capricorn collapse settled, PolyGram Records, the company's biggest creditor, took over the label's library, and the Allman Brothers were cut loose from their contract. Their signing to Arista enabled the group to resume recording. What they released, however, was safe, unambitious, routinely commercial pop/rock, closer in spirit to the Doobie Brothers than their own classic work, and a shadow of that work, without any of the invention and daring upon which they'd built their reputations. The group's fortunes hit a further downturn when Jaimoe was fired, breaking up one of the best rhythm sections in rock. For most of the 1980s, the group was on hiatus, while the individual members sorted out their personal and professional situations. During those years, only Dickey Betts seemed to be in a position to do much with his music, and most of that wasn't selling. In 1989, the band was reactivated again, partly owing to PolyGram's decision to issue the four-CD box set retrospective Dreams. That set, coupled with the reissue of their entire Capricorn catalog on compact disc in the years leading up to the box's release, reminded millions of older listeners of the band's greatness, and introduced the group to millions of people too young to have been around for Watkins Glen, much less the Fillmore shows. They reunited and also restored the band's original double-lead-guitar configuration, adding Warren Haynes on lead guitar alongside Dickey Betts, with Allen Woody playing bass; Chuck Leavell was gone, however, having agreed to join the Rolling Stones on tour as their resident keyboard player, and Lamar Williams had succumbed to cancer in 1983. The new lineup reinvigorated the band, which signed with Epic Records and surprised everyone with their first release, Seven Turns. Issued in 1990, it got some of the best reviews and healthiest sales they'd had in more than a decade. Their subsequent studio albums failed to attract as much enthusiasm, and their two live albums, An Evening With the Allman Brothers Band and 2nd Set, released in 1992 and 1995, respectively, were steady but not massive sellers. Much of this isn't the fault of the material so much as a natural result of the passage of time, which has left the Allmans competing with two decades' worth of successors and rivals. The group has stayed together since 1989, overcoming continuing health and drug problems, which have occasionally battered their efforts at new music. They remain a top concert attraction 25-plus years after their last historically important album, easily drawing more than 20,000 fans at a time to outdoor venues, or booking 2,000-seat theaters for three weeks at a time. Their back catalog, especially the first five albums, remain consistent sellers on compact disc and recently returned to the reconstituted Capricorn label (still a home for Southern rockers, including the latter-day Lynyrd Skynyrd, as well as reissues of Elmore James and other classic bluesmen), under a 1997 licensing agreement that has resulted in their third round of digital remastering. Book Allman Brothers for your next event! Would you like to have Allman Brothers perform at your next corporate event, party or concert? Simply fill out the simple interest form below, and we’ll start the booking process.